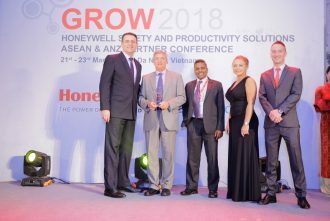 SYDNEY, NSW – 16 April 2018 – Dematic has been named Honeywell’s Top Revenue Performing Partner 2017 in ASEAN & ANZ, and recognised for Largest Deal Won of the Year 2017. 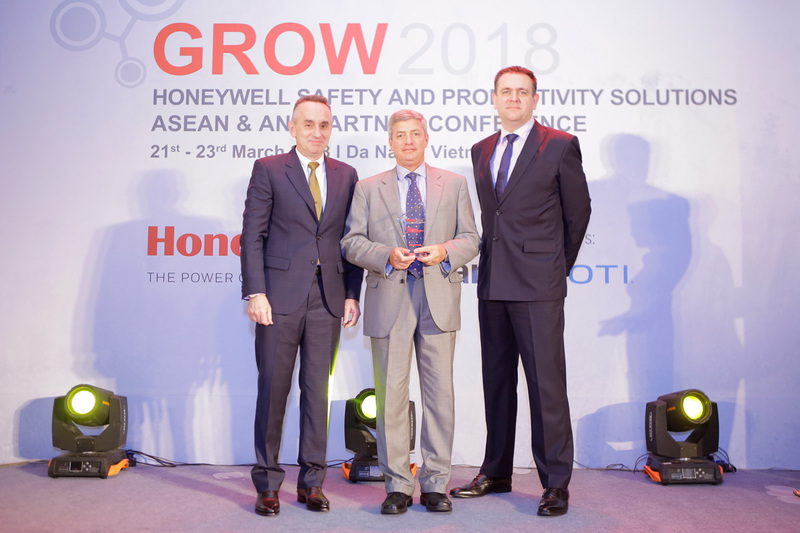 The Award was presented to Brian Lang, Dematic’s Director of Real Time Logistics, at Honeywell’s Safety and Productivity Solutions ASEAN & ANZ Partner Conference in Vietnam recently. Dematic’s Brian Lang presented with the Top Revenue Performing Partner 2017 award by Honeywell’s Dave Hudson and Dave Sharratt. 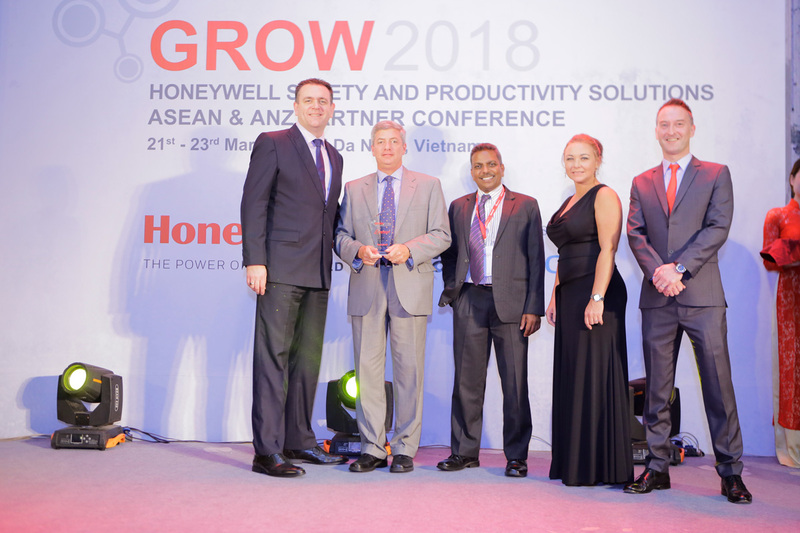 Dematic’s Brian Lang presented with the award for Largest Deal Won of the Year 2017, with Honeywell’s Dave Sharratt, Nizam Ali, Rachael Barton, and Dan Bryer. Brian Lang said Dematic was proud to receive the acknowledgement as a leader in supply chain technology.